As social media dominates our screens, it’s essential that your brand be a friendly face in the sea of online marketing. Think of your ad as the profile picture for your business – by clicking on that ad, your lead hopes to create a mutually beneficial connection. They need something from you, and you want to show them that you’re the best option to solve their problem. 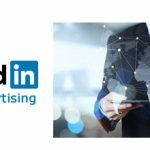 LinkedIn paid ads offer you solutions that drive traffic while creating genuine connections to raise brand awareness. Text ads are the perfect introduction to marketing on the LinkedIn platform. These are the friendly little posts that pop up beside your feed, featuring a headline, image, and short description of your service. Your campaign can be created in a matter of minutes with a unique ad including details of your brand and a 50X50 image. The next step is to specify the optimal audience for your advertising. As well as market basics like age and geography, the professional focus of LinkedIn also allows you to filter your audience by job function, skills, and industry to reach those who will gain the most benefit from your company. LinkedIn paid ads also offer you insight into the success of your marketing campaign. Follow your metrics in the campaign manager to trace your impressions, clicks, and costs, and to see who visits your website as a result of your ad. With just a quick click, text ads help you generate new and engaged leads with online marketing that fits your budget. These are the bread and butter of social media marketing – ads published straight to a feed, reaching a wide audience to attract new leads and raise brand awareness. Like text ads, these allow you to target your audience by location, industry, and other company specific categories. Posts can discuss your brand itself, or share helpful information about the industry to foster loyalty to your company. 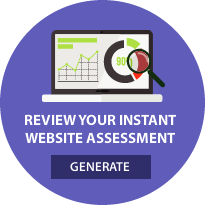 You have the option to pay by click or by thousands of impressions, offering different options for each budget. While ads published to any social media feed will drive awareness, LinkedIn is the optimum platform for brands looking to connect investors, influencers, and key players in their fields. With over 443M professionals connected around the world, your marketing strategies reach the people who matter most. Sponsored mail is the most personal method of LinkedIn paid marketing, creating a direct contact between your brand and your audience. This is the opportunity to genuinely connect with leads by delivering product and service promotions, invitations to events, or custom content that builds brand loyalty. Ads sent through the LinkedIn messaging feature are delivered only when members are active online, eliminating the risk of messages bouncing and guaranteeing a connection with your lead. Delivery frequency caps also avoid the risk of overwhelming your audience, helping your message get maximum visibility. As with all LinkedIn sponsored content, it’s up to you to personalize your target audience. Mobile features ensure the call to action button is visible and receptive on any device, while the campaign manager allows you to trace the responsiveness of leads to your sponsored content. LinkedIn is a professional community, which allows you to tailor your advertising to those that need it most. Unlike other social media outlets, its members are largely brand-receptive, making for leads who will engage with your content. These are the people seeking a brand that can provide the most mutually beneficial interactions, which is exactly what your advertising aims to do.